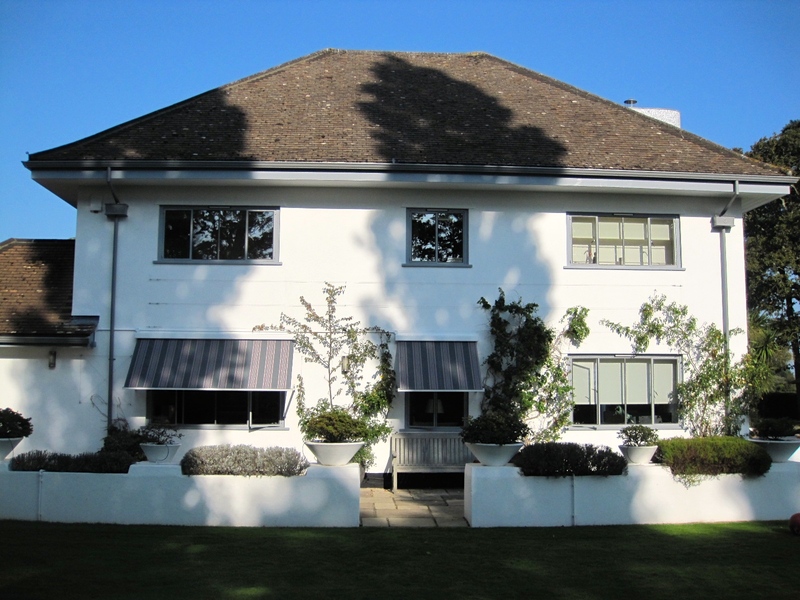 We have just fitted a very useful and attractive pair of Window Awnings to a home on the Isle of Wight. Our customer is very happy with the result which shades their first floor windows, bathing the interior with gentle diffused light – without closing in the room. The Markilux 730 Drop-arm awning with stainless steel gas pistons is a great way to shade windows exposed to strong sunlight. Shading the interior of the room reduces heat build up, and allows much better visibility of TV and computer screens. 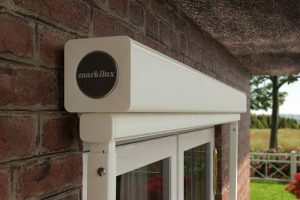 Markilux drop arm awnings can be Manual operation or Fully motorised with remote control. One can simply lower the window awnings, perhaps from the bed when intending to take a refreshing mid afternoon snooze, without having to fully block out the sun with curtains! 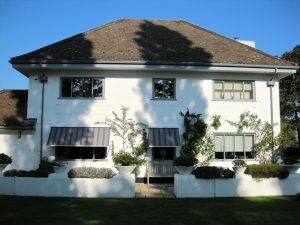 Drop arm window awnings may be fitted to ground floor windows, and upper stories. This type of awning maybe incrementally opened all the way to 140 degrees. Made to measure widths upto 7 meters wide, and varying arm lengths to allow coverage of windows upto 2.5 meters high. 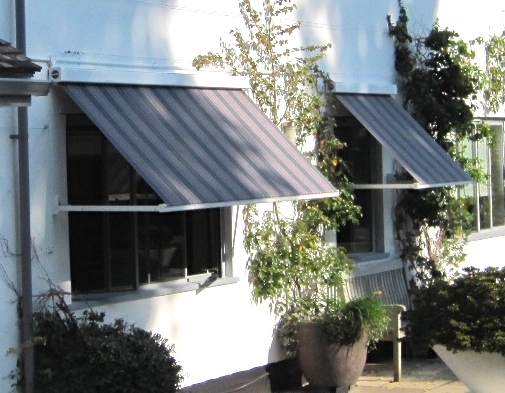 The window awnings come in 2 designs the 730 which is square section 95 x 95 mm or the 830 which has a rounded profile 115 mm diameter. Wide Range of High Quality & beautifully designed Fabrics from the new 2018 Markilux Collection including solid colours, traditional stripes and new contemporary designs which will blend in or enhance your home. Available with Solar & Wind sensors to add further automation and safety features. 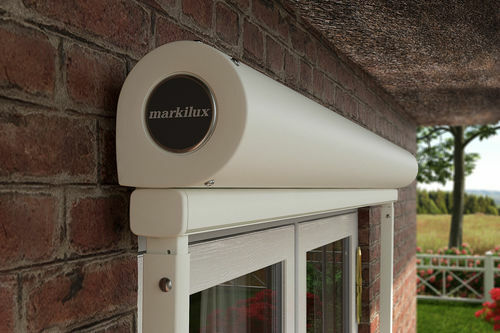 The Markilux Drop Arm window awnings have a comprehensive Warranties for residential & commercial use. Window awnings may be used upto wind resistance Class 2 / Beaufort 5 Fresh breeze / 17 – 23 mph. If you are interested in a quote for Window Awnings please call 01590 683655 / 01983 754800 or use our contact form.